Than you to Creative QT for providing samples for my review. All thoughts are my own. Over the years, my kids have accumulated quite a number of stuffed animals, pillows, and blankets. They seem to multiply overnight, and while cute, huggable, and cuddly, they can be hard to store, and they take up lots of room. 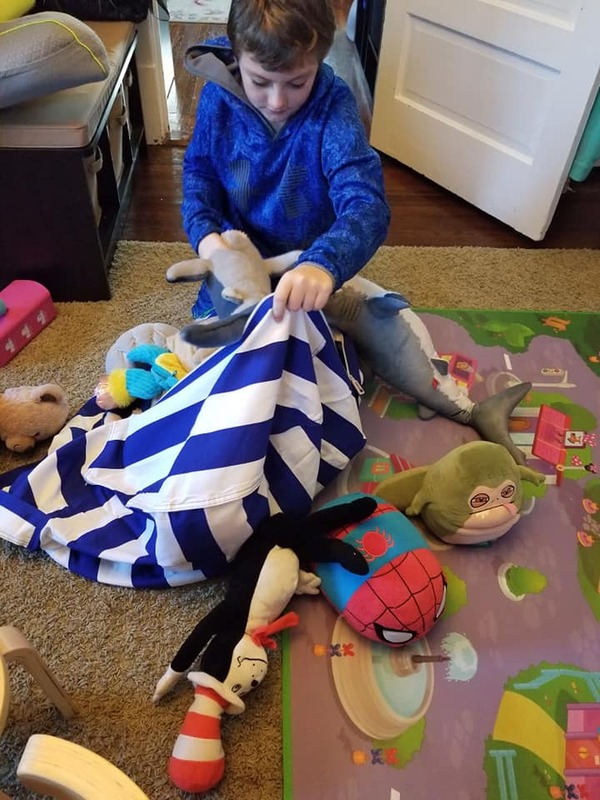 I recently walked into my son's bedroom to find him buried in a sea of stuffed animals while still in bed. Too many. Way too many. 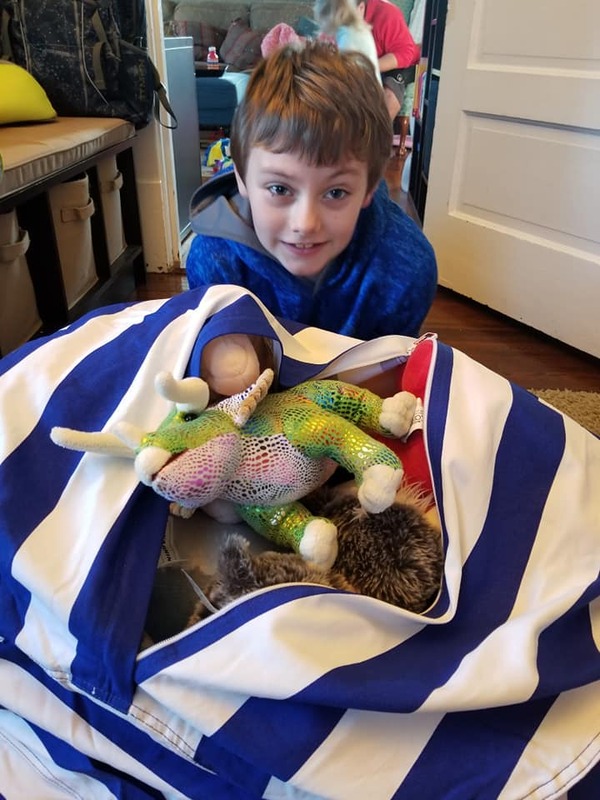 If your kiddos have keepsake stuffed animals or got a few new stuffed pals over the holidays and you're wondering how in the world to store them, I have the perfect solution for you! The standard Stuff'n Sit, right out of the package. To use your Stuff'n Sit, remove from the package and unfold. Find the zipper and unzip. Pile your child's stuffed animals, pillows, blankets, or other soft toys next to their new ottoman and let the fun begin! We received the standard and large sizes in pink/white, and blue/white. The standard size is perfect for Bean, while the larger size is great for B. Both of these ottomans were actually larger and held way more than I imagined! These cute stuffed animals are ready to get stuffed! 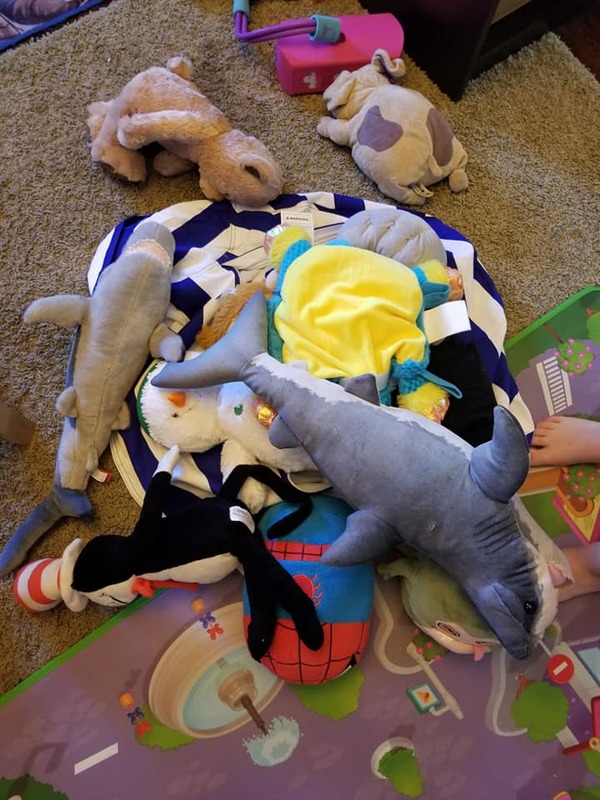 We removed all of the stuffed animals that the kids weren't super attached to from their beds and toys boxes/bins, and placed them in piles on the floor. I directed each child to place their stuffed dolls and pals into their new ottoman. Within minutes, both were filled, and the kids were ready to test them out. Clean-up has never been more fun! Filled to the brim with pillows, stuffed animals and throw blankets. Once filled, we zipped up the Stuff'n Sits. They are really durable/sturdy, and the zippers are strong. If the kids want to play with their dolls or use their blankets, all they have to do is unzip to find them and play. When it's time to clean up at the end of the day, they just place them back into the ottomans and zip them up. No fussing, no messes, and everyone is happy- especially me! The kids have been enjoying their Stuff'n Sits! 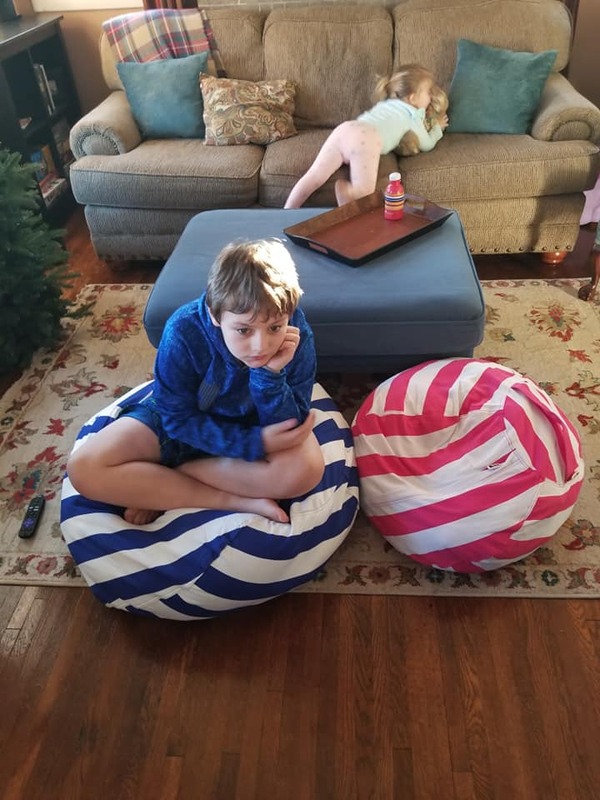 They love to sit on them while they read, or drag them into the living room when they watch TV or movies. They're awesome for family movie or game nights, too! I wish I'd had these earlier in my son's childhood, as they would have been super helpful for storing plush toys, but I am ever so glad to have them now! This handy product is helping us survive the winter! It's great for getting organized and taking back your child's bedroom or playroom. They also make awesome birthday gifts! 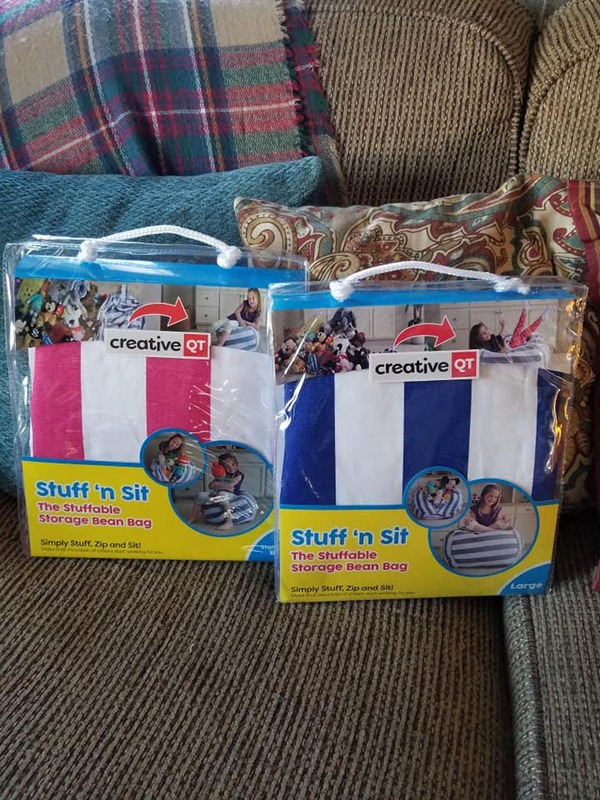 You can purchase your own Stuff'n Sit by Creative QT for the price: $24.95-34.95, according to size. 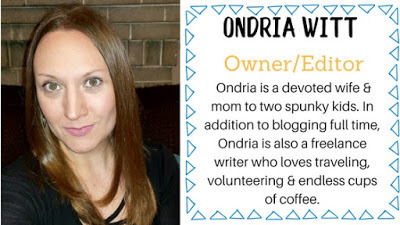 Connect with Creative QT on Facebook and IG. Special thanks to Creative QT for allowing me to share about their crazy amazing Stuff'n Sits! 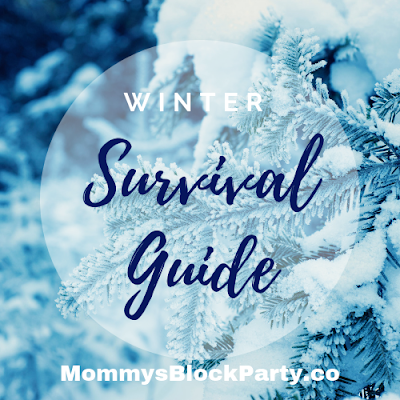 Be sure to check out their other fantastic products and look for these in our Winter Survival Guide! That's a pretty neat idea. 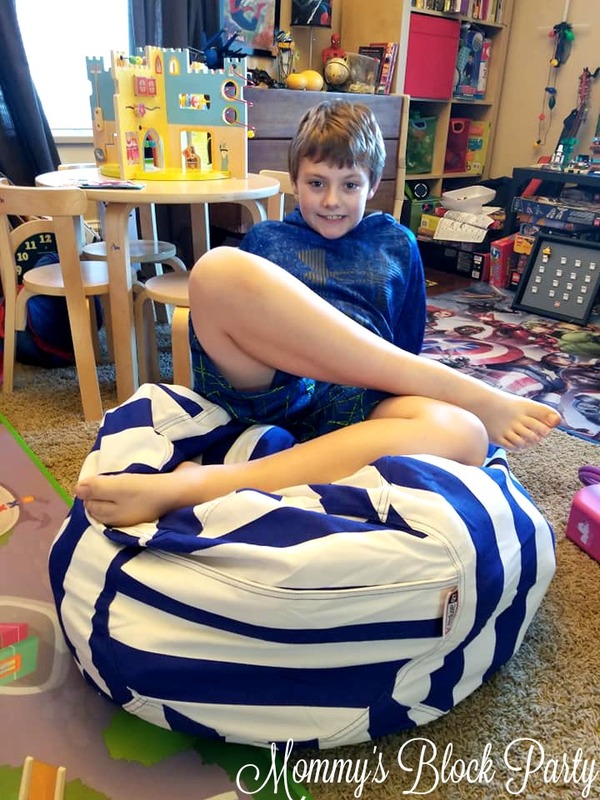 Basically, you're making a bean bag chair...without the little beans. 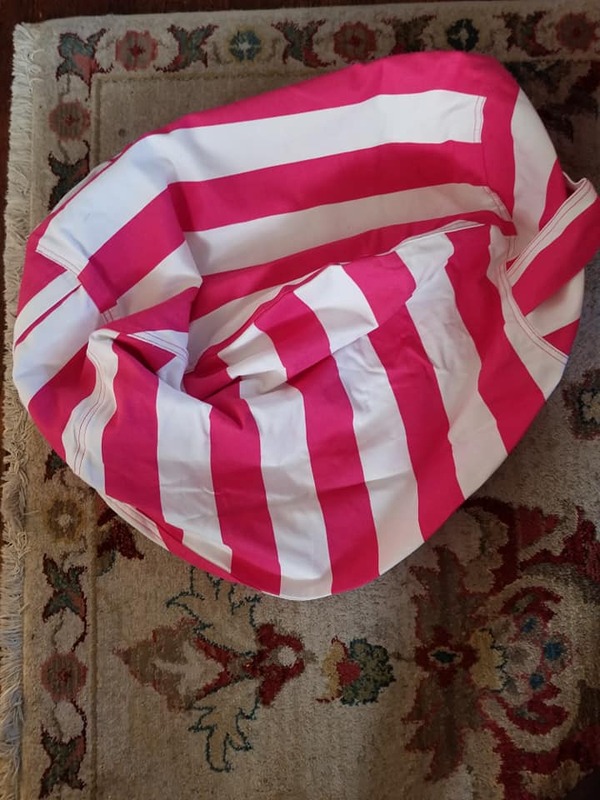 The girls have personalized bean bag covers that they use to store their stuffed animals. I LOVE it because it cleans up the mess and gives them a comfy place to sit.